We do accept cash, check or credit cards. In an effort to accommodate each Team's needs we offer a variety of Package Options. For instance, if you do not carry cash and want to include the Umpire fees for the Tournament in your check, you may do so. If you want to include wristbands for your parents in your payment, you may do so. Some Teams want to pay for everything in one payment - you may do so. We are here to make playing in our Tournament(s) as enjoyable as possible. 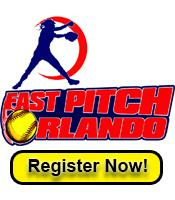 If you have any questions or need assistance, please contact Russell at 407.575.9752 or e-mail fastpitchorlando@gmail.com.